Homespun cranberry and apple deliciousness three ways: in a Cranberry Apple Crisp, as Cranberry Apple Sauce for a fruit topping or in Cranberry Apple Pie. Half sorry, I am, to share this recipe, for if history is a guide, now that it’s in print, I’ll move on to others. But so pleased, I am, to share this recipe. It’s such a favorite! The fruits form a troika, each carrying a singular fruity tune but harmonizing in wintry song. The topping is bright with ginger and gives crunch to the soft, dark fruit. For a rustic dessert, try it as shown here, in a crisp. But there are many variations on this theme. NON-FAT LOW-SUGAR CRANBERRY APPLE CRISP For a ‘diet’ version that will leave no one hungry, substitute Splenda for sugar, skip the topping and instead finish with a couple of tablespoons of raw sugar (such as turbinado or Demerara) that will form a thin sweet layer in the oven. CRANBERRY APPLE PIE For a pie filling, follow the same recipe, it just needs some extra thickening. Use three tablespoons of corn or potato starch for thickening, fill an unbaked pie shell, cover with the topping and bake at 375F/190C for about an hour. 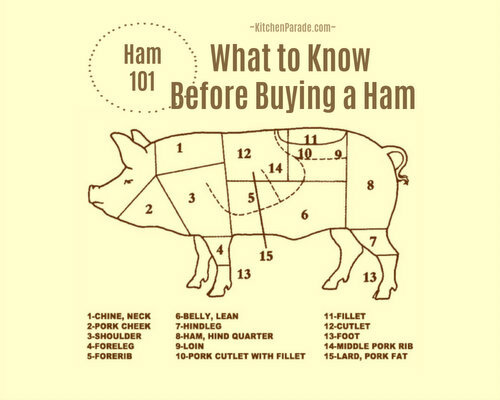 Let set for several hours before serving, stays fresh for two or three days. CRANBERRY-CURRANT APPLESAUCE Or serve the fruit, slightly warm, over ice cream or Greek yogurt. Make it with Splenda and for Weight Watchers this is just two or three points for a generous serving, not counting the ice cream, of course! Truth is, you'd probably use only a spoonful so the points really are minimal. BY THE SPOONFUL Or honestly? Scoop it by the spoonful, straight from the fridge, you know, in the middle of the night. UPDATE Turns out, I didn't stop making this recipe! In fact, during cold weather, the Cranberry Apple Crisp has become my "signature" dessert! It's so flexible. I find myself mixing fruits, though still keeping true to the mix of "tart" and "sweet". A favorite version is a mix of golden raisins (substituting for the currants) with apple, cranberry, rhubarb and sour cherries topped with a few black walnuts rather than the crumb topping or a sprinkle of raw sugar. If I'm short on cranberries, I'll use a few frozen berries from Trader Joe's, raspberries are especially good. When a crowd showed up for dinner one night, I added a can or two of drained fruit cocktail too. I even make this a "dish to carry." Mix the fruit and topping in two containers at home. Grab a baking dish and take to a friend's house. Bake on the spot, that means a warm dessert, straight from the oven. It's a conversation stopper – in this context, that's a good thing! Preheat oven to 375F. Lightly butter a 10-inch quiche pan or 8x8 baking dish. SOAK CURRANTS Soak currants and zest in brandy in a small bowl. You want the currants all plump and juicy! MIX FUIT In a large bowl, stir together sugar, flour, ginger and salt. Stir in cranberries and apple as they're ready, stirring well to distribute the floury bits. Stir in the currants, distributing well again. Turn into prepared baking dish. ADD TOPPING & BAKE Mix topping ingredients (you can use the same bowl) and sprinkle over top of the fruit. Bake for 45 minutes or until the fruit is bubbly and cranberries have popped. SAVOR Serve warm alone or topped with a dollop of whipped cream a scoop of ice cream or my favorite, a spoonful of sour cream or Greek yogurt. ALANNA's TIPS I really do prefer Granny Smith apples for the apple crisp, compared to a baking apple such as a Jonathan. The Granny Smiths cook softer and thus somehow soak up the flavor of the cranberries and currants more than Jonathans, which remain more intact while baking. Tempted to add another spice? Don't be, it muddies the very-special, all-on-its-own brightness of ginger. Does your pantry hold panko (pronounced pawn-ko), the Japanese bread flakes? Panko is a staple in mine and the base of my favorite new topping for fruit crisps, crumb pies and even vegetable dishes. Panko is lighter and crispier than regular bread crumbs and best of all, it’s shelf stable so is easy to keep on hand. To make this, I put the mixing bowl on the kitchen scale and just add ingredients by the spoonful until the full amount is reached. No measuring cups to wash! NUTRITION INFORMATION Per Serving made with sugar and with/without topping/with topping with nuts: 308/237/369 Calories; 4/0/9g Tot Fat; 3/0/3g Sat Fat; 66/58/67g Carb; 4/3/4g Fiber; 164/99/164mg Sodium; 10/0/10mg Cholesterol; 2/1/4g Protein. 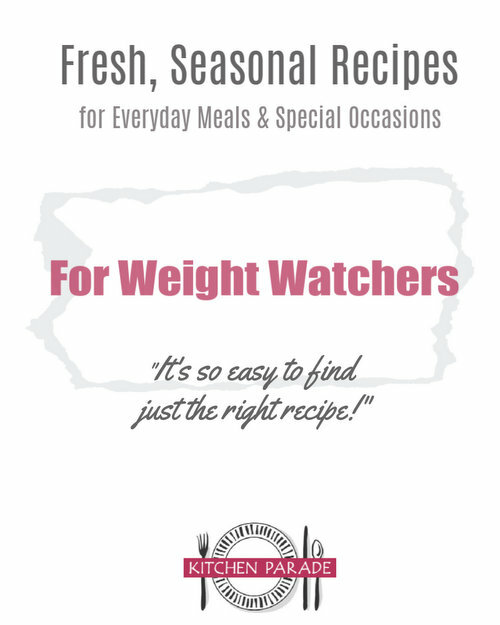 WEIGHT WATCHERS POINTS WW Old Points 6/4/7.5 & WW PointsPlus 8/6/10. Per serving made with Splenda and with topping/without topping/with topping with nuts: 192/121/254 Calories; 4/0/9g Tot Fat; 3/0/3g Sat Fat; 36/28/37g Carb; 4/3/4g Fiber; 164/99/164mg Sodium; 10/0/10mg Cholesterol; 2/1/4g Protein. WEIGHT WATCHERS POINTS WW Old Points 3.5/2/5 & WW PointsPlus 4/3/6. Kitchen Parade is written by second-generation food columnist Alanna Kellogg and features fresh, seasonal dishes for every-day healthful eating and occasional indulgences. Do you have a favorite cranberry recipe that other Kitchen Parade readers might like? Just send me a quick e-mail via recipes@kitchen-parade.com. How to print a Kitchen Parade recipe. Never miss a recipe! If you like this recipe, sign up for a free e-mail subscription. If you like Kitchen Parade, you're sure to like my food blog about vegetable recipes, too, A Veggie Venture. Follow Kitchen Parade on Facebook! The brandy-soaked currants, apples and cranberries make a fine winter pie! It just needs a little extra thickener. Here's the recipe for Cranberry Apple Pie. And they do make whole wheat panko! This does look wonderful Alanna! Oo, I love the idea of using Panko crumbs in sweets. I've only ever used them with savory dishes. I just pulled this from the oven for Christmas Eve dessert. Since we have Weight Watcher's at the table, I used Stevia and only 1 tbsp of brown sugar & light butter for the topping. The topping was too good to pass up. I asked my husband how it looked and he said "fancy" -- which is a good sign.